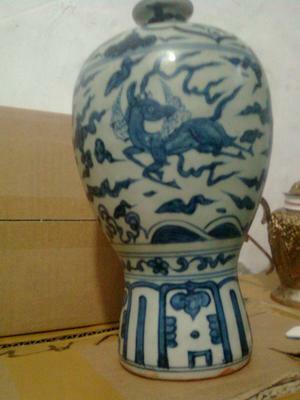 I want to ask you this vase which I guess is Ming. Am I right? it is 25 cm high. It looks indeed as if there Ming. The mark characters are right for that period too. The blue color seems to point to the late Ming dynasty. I'm a bit concerned about the white glaze, but it is difficult from pictures alone.